As Obamacare moves into the implementation phase, we can be sure that, at some point, the political strife around health care will return. For now, much of the discussion has moved on to other issues. Some of the discussion hinges on more profound philosophical issues, such as whether health care is a basic human right. 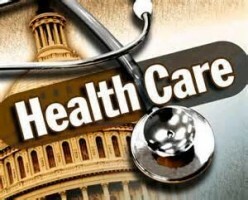 However, most of it revolves around the matter of government involvement in health care. How much is too much? Can there even be too much – or too little? While liberals argue for some form of universal health insurance (or a socialized system which is not the same thing! ), conservatives often make the argument that health care would be better and cheaper if it were ruled by the free market. Fortunately, the notion of free-market health care is something we can examine since we have a historical example, an era of completely market-based health care, in the United States. The time in question began during the Jackson administration and lasted through a good portion of the 19th century. Under the anti-regulatory climate ushered in by the seventh president of the United States, health care regulations, some going back to colonial times, were rolled back. Health care became a glorious open bazaar where anyone could claim anything and the consumer was solely responsible for choosing the right treatment and the right practitioner. Who would the right practitioner be? Well, you could choose a traditional allopathic physician without worrying about all that annoying paperwork like state licensure or meeting standards for training or practice. Your doctor would likely have either trained as an apprentice to another physician for an unspecified length of time or he could have attended a proprietary medical school for some months. These for-profit institutions (another free-market element) were not affiliated with universities, offered meager curricula and little or no laboratory or hospital experience. Some physicians put in some time at a university (here or abroad), but most didn’t. Even if your doctor had gone to school, there were no pesky accreditation processes to guarantee that minimum standards had been met. The standards themselves didn’t exist. With such fluidity in what it meant to be a doctor, you might consider yourself fortunate that you could also select your health care practitioner from a dizzying array of alternative practices: homeopaths, osteopaths, bone setters, sellers of nostrums (“cancer doctors”), innoculators, vitalists, abortionists, eclectics, Native American practitioners, hydrotherapists, empiricists, botanic practitioners and, a little later, chiropractors. Another alternative would be to simply treat yourself and your family according to one of the many DIY home medicine manuals that were widely available. Thomsonianism might be of special interest to free-marketers because it represents sensational success by a small entrepreneur. Samuel Thompson, a New Hampshire farm laborer with a longtime interest in herbal remedies, began marketing his brand of medicine to his neighbors. His sales pitch, “every man his own physician” enabled him to produce self-help medical guides and a book (“New Guide to Health”) sold by mail and personally on lecture tours. His system became wildly popular. At one point, he claimed 3 million adherents. What we call the allied health professions (e.g., physical therapists) did not exist. As to nurses, there was no training, no standards, no licensure. Midwives or birth attendants were also untrained and unlicensed. As to hospitals, in the beginning of the period, they barely existed. Toward the end of the time in question, there was a hospital boom. Anyone who wanted to start a hospital could do so, with no standards or licensure. Then there is the matter of drugs. No standards there either. Anyone could sell any substance (including toxins and opioids) with the promise that they would cure disease. There were no lengthy testing processes, no clinical trials and no standardized dosages. This is a free market dream come true – absolute freedom of choice, no regulatory processes to slow things down and constrain the business of medical practice. A world of unregulated health care means that you can choose the care that corresponds to your opinion. If you take a deadly medicine that is your responsibility. If you choose just as deadly a practitioner, that is your responsibility too. After all, as former congressman Ron Paul (a physician himself) has reminded us, we need to take care of ourselves and not rely on the government. But the congressman himself (and his son) are the products of a heavily regulated system. To my knowledge, neither of them has complained about the heavy hand of government that required them to obtain medical licenses before practicing, a requirement that establishes a monopoly for those with their credentials. A monopoly that is the antithesis of free market thinking. It would seem that even committed Libertarians draw the line somewhere. And it’s a pretty heavily drawn line. The government limits the practitioners we can see, the drugs we can take, the treatments we can select. The discussion about not letting the government tell us what kind of health care we can have is moot. That ship sailed more than a century ago. Our free market example is historical, but we have contemporary liberal exemplars: a large population with universal coverage under the Medicare program and others in the military, veterans and Native Americans receiving socialized health care. The government pays for care in these systems, but the care itself comes under the same restrictions described above. So when we talk about government involvement in health care, doesn’t it really come down to the question of who pays for health care – or, lacking payment, who gets health care? This takes us back to our basic philosophical question, is health care a human right or a commodity? If it is the latter, then roll back the regulations and go back to the future. However, if its the former, shouldn’t we be looking to the government, the institution we count on to safeguard our other human rights? That’s what we should be talking about. Author: Burden S Lundgren, MPH, Ph.D., RN practiced as a registered nurse, specializing in acute and critical care. After leaving clinical practice, she worked as an analyst at the Centers for Medicare and Medicaid Services and later taught at Old Dominion University in Norfolk, Virginia. She has served as a consultant to a number of nonprofit groups. Presently, Burden divides her time between Virginia and Pennsylvania and is working on two books – when her cocker spaniels let her. She can be reached at [email protected]. Of course, you can also argue that prior to the 1930s and the advent of (modern) pharmaceuticals, physicians and hospitals could not do very much for the sick anyway. While I’m in favor of universal health coverage (although I’m not sure Obamacare will get us there, with the individual mandate and “nonpayers” opting for the tax penalty),I do have concerns over government as a monopsonist, or single buyer (in contrast to a monopolist, or single seller). The current US market does seem to provide for a lot of development of new drugs and therapies, in so small part because of the expected profits from such. If a monopsonist is able to pick and choose which (new) drugs and therapies to pay for (and in turn refuse to pay for others), will this reduce pharmaceutical and other medical R&D….? This may be not too much of an issue, given that the current largest insurer in the US in Medicare, and almost half of all health care spending in the US is already paid for by Federal and state governments (Medicaid, etc.). Still…..